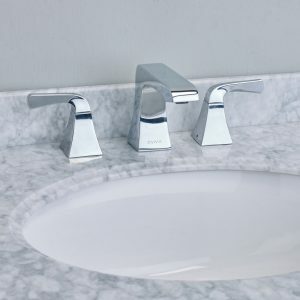 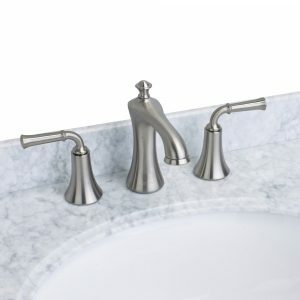 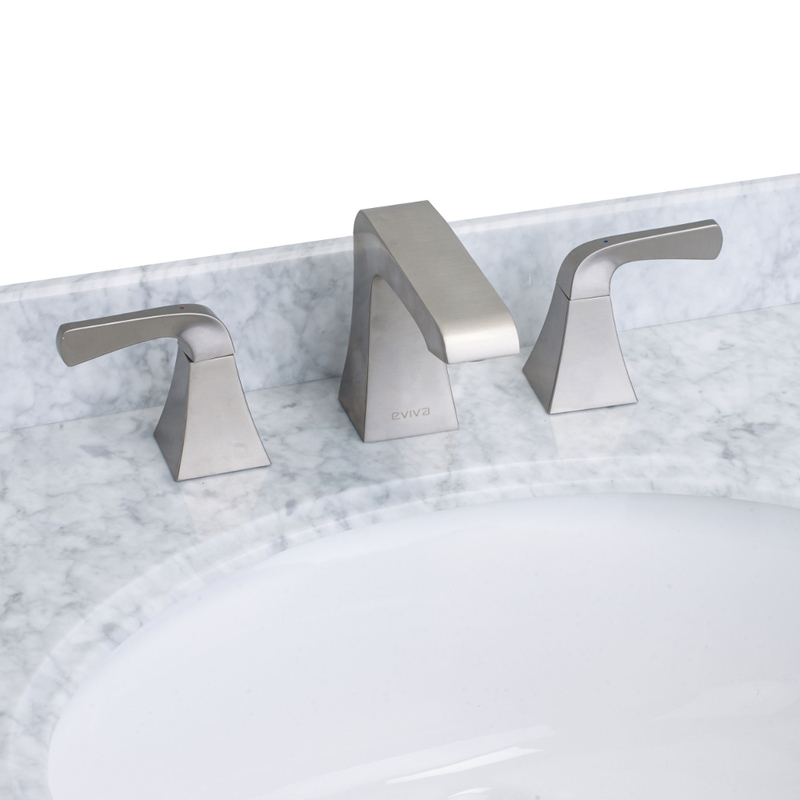 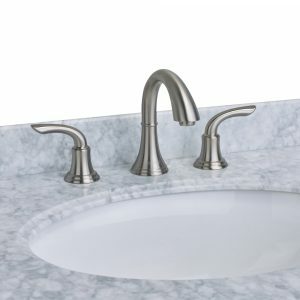 EVIVA Swan Luxury Water-fall Widespread Three-Hole (2 Handles) Bathroom Sink Faucet in Brushed Nickel is one of the best bathroom sink faucets available in the U.S. market. 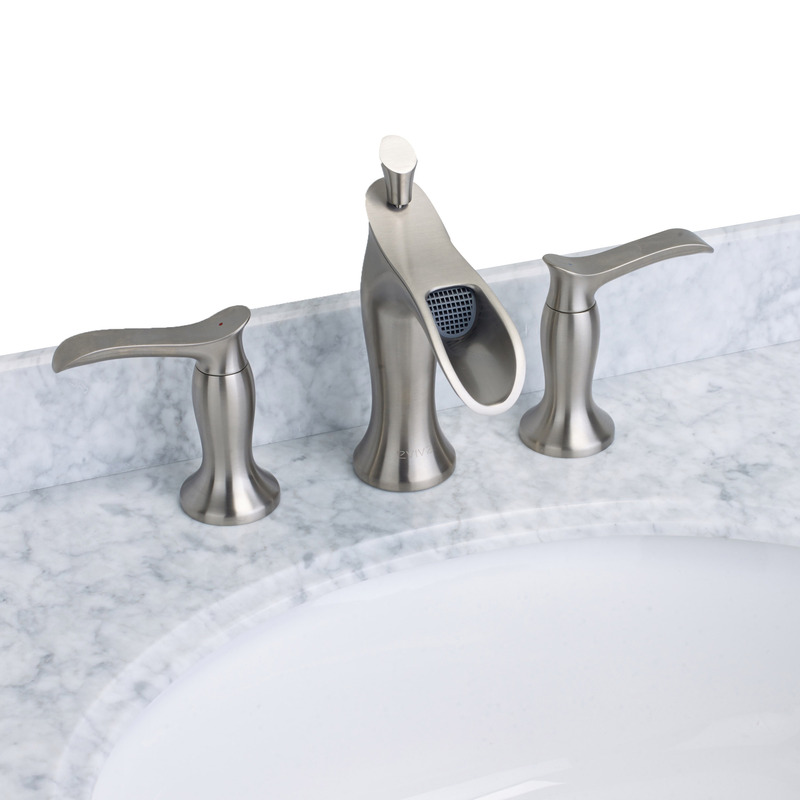 If you are looking for a widespread three-hole (2 handles) bathroom faucet that will fit your bathroom perfectly, the Swan line should be on the top of your list. 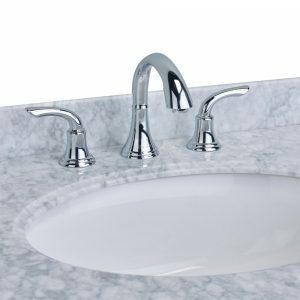 It will fit perfectly if your bathroom vanity has three-holes (Widespread) in the sink or the counter-top. 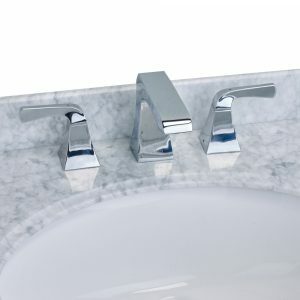 It does not matter the size between the holes as the widespread is adjustable. 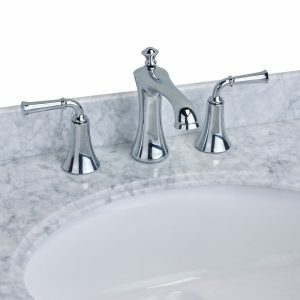 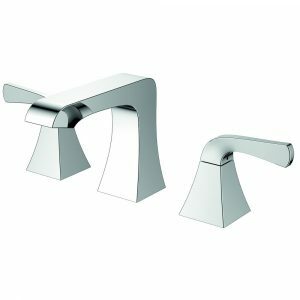 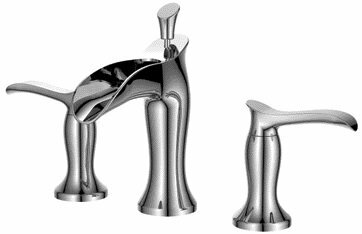 EVIVA Swan Luxury Water-fall Widespread Three-Hole (2 Handles) Bathroom Sink Faucet in Chrome is one of the best bathroom sink faucets available in the U.S. market. 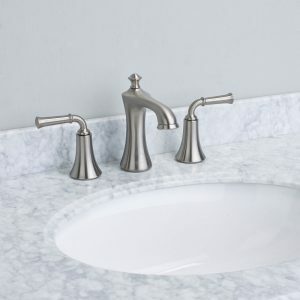 If you are looking for a widespread three-hole (2 handles) bathroom faucet that will fit your bathroom perfectly, the Swan line should be on the top of your list. 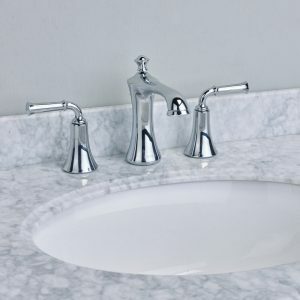 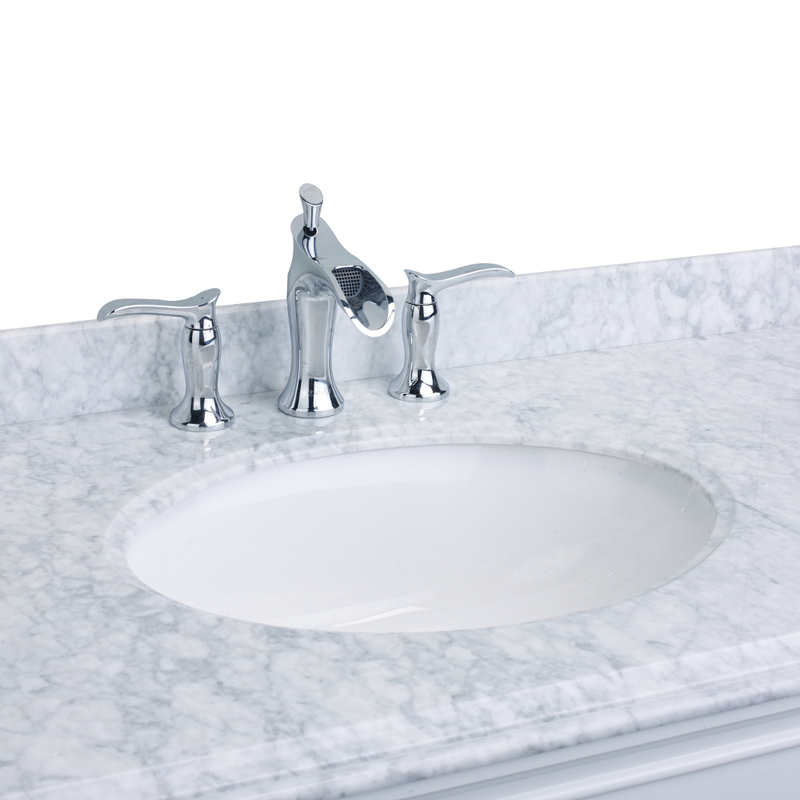 It will fit perfectly if your bathroom vanity has three-holes (Widespread) in the sink or the counter-top. It does not matter the size between the holes as the widespread is adjustable.